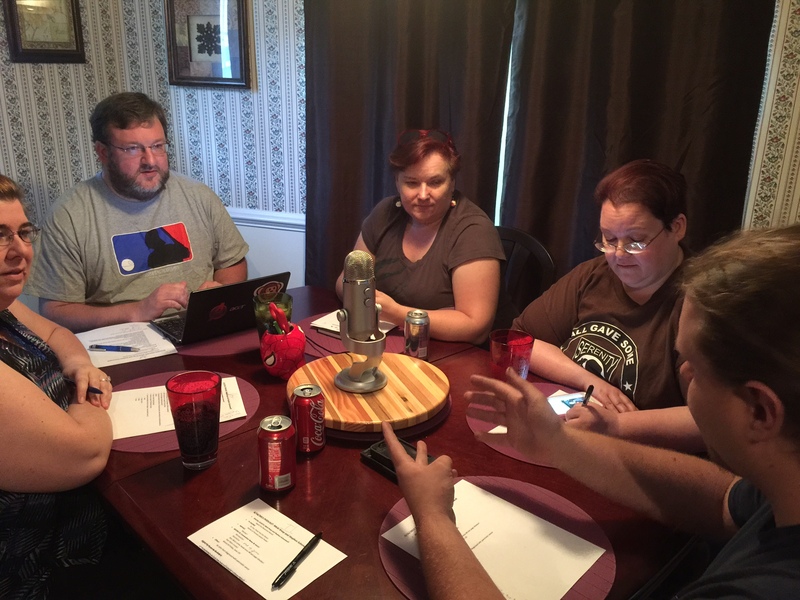 Episode 22 featured our first of three Indiegogo Perk podcasters! These wonderful people supported our Geek Gala “Bridge the Gap” campaign by selecting to donate $75 for our “Gab with the Geekery” perk. (Their mental stability is obviously in question.) We also were delighted to have the lovely Goddess of Trivia, Miss Micki Knop! Stephen Schonewolf is a member of The Charlotte Geeks, the The Royal Manticoran Navy, the fan association for Honor Harrington and the Honorverse (a military science fiction series written by David Weber). He has also recently joined as a volunteer for HonorCon, which is October 30th – November 1st in Raleigh, NC (the week after our own Geek Gala – phew!) And as you can tell from his picture, he’s also a big Star Wars fan along with a frequent attender at our Board Game nights. Micki Knop is one of the assistant organizers of The Charlotte Geeks and has been on the committee for the Geek Gala since almost the beginning. She is our residence Goddess of Trivia and has hosted many trivia nights for The Geeks in the past and hopefully again in the future. In addition, she is a voracious reader, a lover of bad movies, and an amazing cook. You can read some of her recent posts on our sister website for The Charlotte Geeks.